What a sweetie-pie image Pat! I love how you have layered the papers you have chosen and you colouring is wondeerful. Thank you so much for joining us over at the OSAAT challenge this week, lots of luck to you. your card is so charming and beautiful, dearie! That is so pretty Pat. 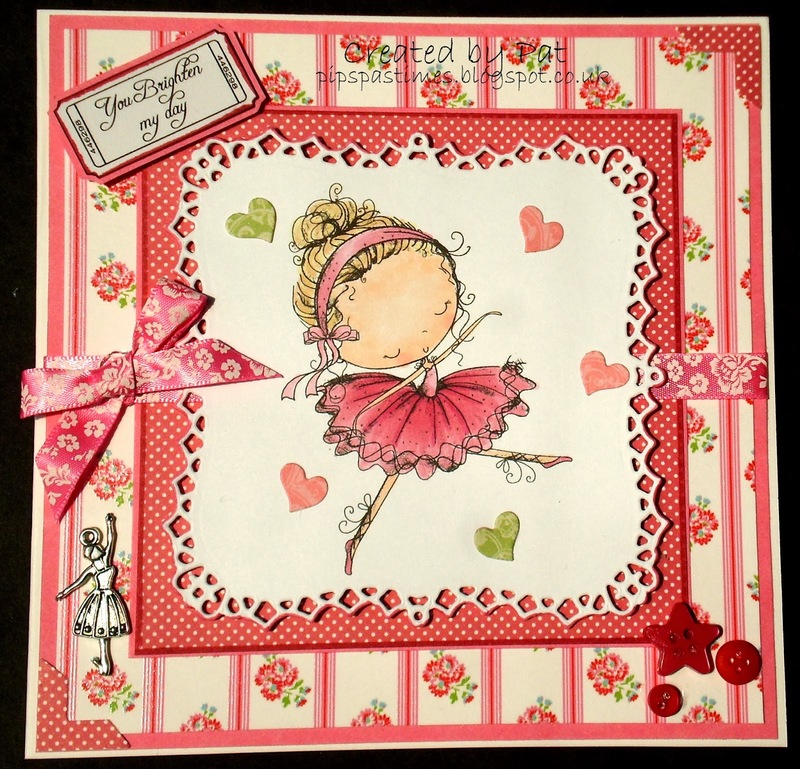 Sweet image, gorgeous paper and I love the little ballerina charm. Adorable Pat! Love the dies you you have used. Such a cute image and fabulous DP. Adorable card Pat, I love the pretty flowers and that image is so cute. Gorgeous card & such a cute image you used....love how you colored it! Thanks so much for playing along with us @ Inky Impressions & hope to see you back again next week for our 3D challenge!!! What an adorable card! Love that sweet image and all the details, especially those cute tiny buttons. Thank you for playing with us at DRS Designs this week! Awwww - ADORABLE! Cute image and great colors. Love the die cut too. :) Thanks for sharing with us at Digistamps4Joy.